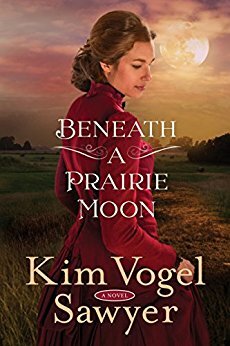 Welcome to my review for yet another great book from Kim Vogel Sawyer. I received an Advanced readers copy from blogging for book and I have to say this is a really good story . I love the humor in it and the Christian values as well as the historical story line. I have read a few book about the practice of mail order brides in the old west but this one is a bit different . I do not like to give away to much of the story when I review so Ill say that its the story of a young woman who once was privileged and was destined for a life as a society wife when he father was convicted of a crime and that all went down the drain . She has asked the owner of Bingham"s Bevy Of Brides to find her a husband but it seems she is just to picky and the owner of the matchmaking company is loosing patients . Its is an adventure story as well as a romance,add in a bit of mystery and you have the whole package in a good clean Christian romance. This comes on sale soon so be on the look out for it , its a great cozy winter read .